You might be thinking how in the world can anyone make a blog about Piano Benches interesting enough to read through to the end. Well, I thought of that and to tell you the truth I must say “I don’t know really”. I do know this that although the Piano itself gets all the attention and rightly so, it is the center of universe, of course, it would not be so much fun if not for a good bench to sit on. So with that in mind I will proceed with information you hopefully in most cases have not thought of before. As a fish without water cannot survive long so a piano player without a good satisfying bench under them cannot survive long either. Glen Gould’s Piano Chair designed by his father…..
What do we look for in a good piano bench? That is a fair question and it probably varies from player to player. Take for instance the story of Glen Gould (1932-1982) Canada’s foremost pianist who died suddenly and sadly in 1982 of a stroke at the age of 50. It is said that Gould’s father Russell customized a lightweight wooden folding chair for him to use at the piano. This was in 1953 and Glen was 21. Glen liked it so much that he carried it with him around the world on tour after tour for the remainder of his life. Now, obviously, it’s fair to say that none of us will ever be a Glen Gould and even if we were we certainly would not lug an old dilapidated folding chair with us where ever we went. But it just goes to show you how attached one can get to their Piano Bench. So choose it well. (1) Comfortable Padding — Truly there is nothing worse than a cold hard bench to sit on for thirty minutes give or take. It won’t be long before you see yourself squirming. It doesn’t matter if you are seven or seventy-seven comfort is comfort and dissatisfaction on your seat will always mean dissatisfaction with just about everything else including the keyboard. Let’s say you are a piano teacher. The very first thing you should deal with is the piano bench because it is obvious. It’s also an easy fix. “Just throw them a pillow” one might be thinking. Did you ever sit on a pillow for an extended period of time? If you have you know then that it works for the short period but it to becomes troublesome after a bit. That’s a band aid for sure. No, the best way is to have a bench with comfortable padding. An upholstered piano bench is not only stylish and comfortable. The seat is made from durable yet soft foam and covered by either leather or vinyl (your choice usually). They are often adorned with buttons that not only hold the foam in place but give an adorable pattern throughout. I’ve always loved the pattern shown in the caption above. There is a certain ritzy look about it. Strikes me as very stylish how about you? (2) Bench Height — A standard Upright Piano Bench is generally 30″ wide x 19″ high give or take and is used with a variety of piano heights from 36″ high to 52″ high. 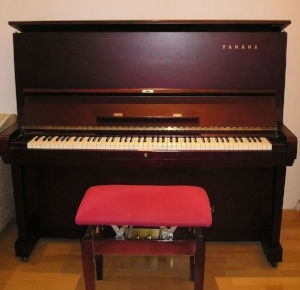 The height of the piano bench is often under estimated or not really considered important at all. The thinking sometimes is “O, well, whatever is available.” But to think of the bench in that manner is to overlook a very important piece of the piano equipment. Then there is the matter of young kids and if you are a piano teacher or even if you have young child in your home then the challenge is how to get them to the right height so they are comfortable playing. There was a time when you would sit little Junior on a couple of thick phone books and a pillow but times have changed. So has the matter of piano bench height. This is where the adjustable piano bench comes in handy. Some of these adjustable benches have knobs on either side of the bench whereby you can twist the knob to bring the padded part of the bench high enough to accommodate for little children and shorter adults as well. As an aside some of these adjustable benches are designed for duet and have a dual adjustment feature that gives each piano player just the exact height distance they need. Let us not forget the adjustable piano “stool”. We have all seen these and perhaps as a child you can remember sitting on this getting a friend to give you a spin. Today these are the same in effect accept you can get them fully padded as well. Like I said times have changed. (3) Colour Match – It may be considered a minor thing but to me if I am purchasing a new piano bench then I absolutely want it to match in colour to my piano. This of course has nothing to do with the function of the bench but still it just “feels right” when the piano and the bench match. Case in point, I have a white piano and it came with a padded white full bench. Now, what would that look like if the bench was a mahogany stained colour. All I’m saying is it makes for a better set if the piano and the bench match in color at least. (4) Price Range— This also is something to think about. 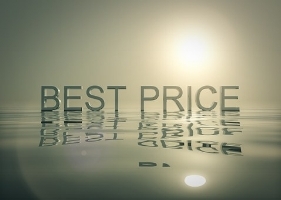 There is an old saying I heard many years ago and it has stuck with me and it is this: “If you buy the cheap….you get the cheap”. This is so very true. Now, this will obviously work with what you can afford at the time. I would not put pressure to purchase beyond your means but still, we will often buy-down thinking we are saving our bucks. This certainly works at the moment only thing is in a short period of time here we are purchasing another bench. Why? Because the one we bought three years ago and saved fifty dollars on is now broken beyond repair and is useless. Some piano benches cost more because they are made to last using top of the line wood and padding materials. So, you’ll need to give it some thought but remember my slogan “If you buy the cheap…..you get the cheap”. Piano Benches should out last the piano in my opinion. (5) Folding Bench—This type of piano bench can serve a dual purpose and that is why I mention it. It will, of course, fold to the desired height but it also can serve as the bench for perhaps a digital piano set up somewhere else in the house. These benches collapse to make for ease in transporting they also have padding features just like their counterparts and again price will vary so point four above applies here also. (6) Build Your Own Piano Bench—There are many sites that can give you great ideas on building your own piano bench. I was just looking at Pinterest and they tap into this with all the instructions from height to wood used to measurements to padding and much more. So, if you are handy with your hands this is a great project for you to accomplish. (7) Adjustable Piano Chairs–Adjustable Piano Chairs are ideal for playing piano, reading, writing, eating, and many other activities. The advantage here is that one: they have a solid back on them like a common kitchen chair and two: you can enjoy many hours of minimal if any back pain with this type of piano seat. The back on this chair helps support fatigued or sore back muscles but one must always be aware of and avoid the slouching position. The seat can be padded and can be adjusted instantly either higher or lower to suit your comfort needs also these can be purchased with a leatherette seat cover which only adds to the comfort. As an additional safety measure, a latch can be pushed to lock in the position. The piano chair is made in a variety of solid hardwood with gloss finish and are commonly accessible in ebony (black), walnut (brown) or mahogany (reddish) color just like its counterpart the Piano Bench. Colours and styles and prices are all available and again I remind the reader of the qualities pointed out previously in this list and so to choose accordingly. Generally, all vinyl seats will match the color of the piano chair chosen. In closing out this discussion on the importance of choosing the proper piano bench for you may I just say that no one can do this for you. I say that way because it seems to me no one can effectively know what I want. No one knows my body and what it needs when it comes to a piano bench. 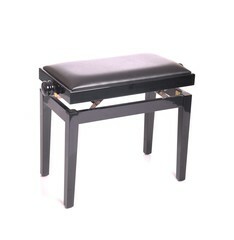 The purchasing of a piano bench is long term and can eliminate non comfort issues and even back pain issues. It can stimulate practice time and playing ability. It’s your choice so choose wisely, my friends.